December 19, 2016 — Secretary of State Lawerence Denney supervising the vote for President and Vice President by the Idaho presidential electors in Governor Butch Otter’s ceremonial office. October 28, 2014 — Last day to request absentee ballot tomorrow October 29th. Early voting ends Friday. October 23, 2014 — Secretary of State Ben Ysursa Announces the 2014 Idaho Student Mock Election. October 21, 2014 — Secretary of State Ben Ysursa Announces a Polling Place Locator Application for Smart Phones. October 3, 2014 — Idaho Voters’ Pamphlet Delivered Statewide This Week. September 19, 2014 — Secretary of State Ysursa Declares September National Voter Registration Month. August 12, 2014 — Access Idaho Business Identity Monitoring. July 10, 2014 — Voting System Demonstration and Certification Hearing, Tuesday and Wednesday, July 15 and 16. ES&S ExpressVote Accessible Voting System. June 2, 2014 — State Board of Canvassers to meet June 4th at 1:00 p.m.
May 12, 2014 — Secretary of State Ben Ysursa today reminded voters the last day to submit an application for a mail-in absentee ballot is this Wednesday, May 14, 2014 and that the last day for in-person absentee voting is this Friday, May 16, 2014. May 1, 2014 — Request for Proposals for the Acquisition and Implementation of a Web-based Electronic Ballot Delivery System for Military and Overseas Voters. March 3, 2014 — Secretary Ben Ysursa today announces the important deadlines pertaining to the May 20, 2014 Primary Election. January 8, 2014 — Secretary Ben Ysursa today announced the availability of the Online Campaign Finance Reporting application. September 20, 2013 — Secretary Ben Ysursa today announced a Voting System Certification Hearing for the Hart InterCivic 6.2.1. voting system. September 09, 2013 — Secretary Ben Ysursa today announced a Voting System Certification Hearing for the Election Systems and Software (ES&S) EVS 5000 voting system. March 05, 2013 — Secretary Ysursa Announces Voting System Certification Hearing to review the ES&S optical scan equipment and Unity software upgrade. January 02, 2013 — Online Registration for Lobbyists is now available. 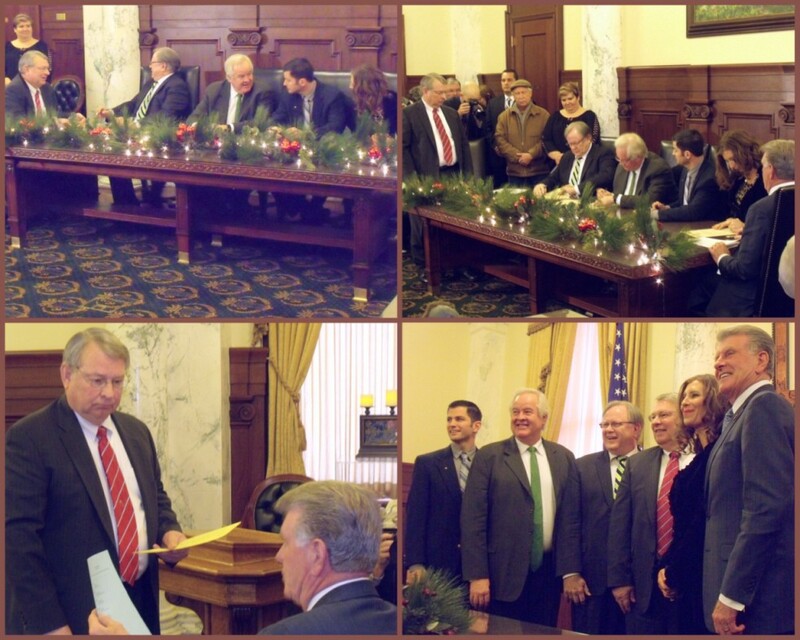 December 12, 2012 — Presidential Electors will meet at noon on December 17th in the Governor’s Ceremonial Office to cast their ballots for Idaho’s 4 Electoral Votes for United States President. November 19, 2012 — State Board of Canvassers to meet November 21st at 10:00 a.m.
October 30, 2012 — Last Day to Apply for Absentee Ballot is Wednesday October 31st. October 11, 2012 — Registration Closes for the 2012 General Election Tomorrow. October 01, 2012 — Idaho Voters’ Pamphlet Delivered Statewide This Week. September 17, 2012 — Secretary of State Ysursa Declares September National Voter Registration Month. January 06, 2012 — Lobbyists will be able to electronically file their disclosure reports beginning with the January 2012 monthly report. October 26, 2010 — Secretary of State, Ben Ysursa, today reminded voters that the last day to submit an application for a mail-in absentee ballot is this Wednesday, October 27th and that the last day for in-person absentee voting is this Friday, October 29th. September 21, 2010 — Secretary of State Ysursa announced today that absentee ballots have been mailed out statewide and Idaho has met the Federal deadline to mail absentee ballots to Uniformed and Overseas voters. On the state’s official voting information site, www.idahovotes.gov, a new tool is available to allow voters to check the status of their absentee ballot. June 08, 2010 — The State Board of Canvassers will meet at 2:00pm on June 9th in the Secretary of State’s conference room in the Capitol Building to certify the results of the Primary Election. May 20, 2010 — Secretary of State, Ben Ysursa, today encouraged Idahoans to vote in the primary election on May 25, 2010. March 02, 2010 — Secretary of State, Ben Ysursa, today reminded all candidates for Federal, Statewide, Judicial and Legislative offices that the filing period to be placed on the May 25 Primary ballot is March 8 through 5pm March 19. December 15, 2008 — The Presidential Electors will meet today at noon in the 2nd Floor Courtroom in the Borah Building to cast their electoral votes for United States President. November 17, 2008 — Secretary of State Ben Ysursa announces the meeting of the State Board of Canvassers. October 21, 2008 — Secretary of State Ben Ysursa and Superintendent of Public Instruction Tom Luna announce The 2008 Idaho Student Mock Election October 23rd and 24th. Results will be available on the Secretary of State’s web site on Monday, October 27th. October 07, 2008 — Secretary of State Ben Ysursa reminds of the October 10th deadline to pre-register to vote for the General Election and announces a new “Am I Registered?” feature on www.idahovotes.gov. August 04, 2008 — Secretary of State Ben Ysursa today announced the 2008 distribution of the Idaho Election Campaign Fund will take place August 5th. July 31, 2008 — Secretary of State Ben Ysursa today announced his office is seeking public comments on proposed amendments to the Idaho Help America Vote Act (HAVA) plan. 09/17/2007 — Secretary of State Ben Ysursa Announces Citizenship Education Website for Students and Teachers. 05/02/2007 — Secretary of State Ben Ysursa announces certification of upgrades to the Election Systems and Software optical scan voting system. 01/03/2007 — Secretary of State Ben Ysursa announces that the Idaho Health Care Directive Registry is available. May 16, 2006 — Secretary of State, Ben Ysursa, announces the new statewide polling place locator, available now on the www.idahovotes.gov web site. March 25, 2004 — Secretary of State Releases Revised Idaho Help America Vote Act State Plan. Go to the Secretary of State’s HAVA page for the latest updates regarding the Help America Vote Act.